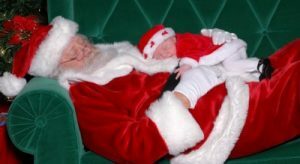 When was the last time your holidays were aligned with your soul’s true needs? Do you dread the season or look forward to it with excitement? How would you spend the month if you had the chance to create your own perfect scenario? A study by Consumer Reports indicates that over ninety percent (yes—over 90%!) 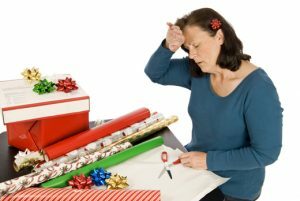 of Americans report that they are more stressed over the holidays, noting at least one particular type of additional stress during this time of the year. For a season that is supposed to be filled with joy, this statistic clearly indicates that our holidays are far from soulful and are instead, quite anxiety ridden. 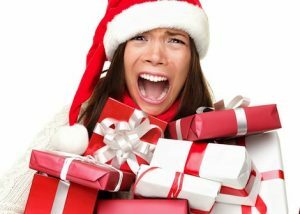 Following are the top ten reported stressors that negatively affect our holiday spirit, and in turn, our Soul Health. You will also find suggested soulful solutions to help shift your perspective from one that is “blah” to one that is full of bliss. 1. “I can’t get it all done.” For starters, no one says “I wish I ate more cookies over the holidays.” Instead, they say, “Gee, I was WAY too busy and exhausted during the winter season.” Take a look at your annual traditions and see which ones you dread the most—then scratch them off your list! Use discernment to determine how much you want to do with respect to the toll it will take in doing so. More mindful selection of seasonal activities ALWAYS helps to minimize holiday stress and empowers you to create a much more soul-aligned life. 2. “I can’t afford it.” Simply put, we spend a lot of money during the holidays. Yet, it is the memories we make with others that provide the biggest investment. Consider sharing a special meal with your friends and loved ones without the need to exchange gifts. Bring your phone and take pictures together as a gift to share with each other instead. 3. 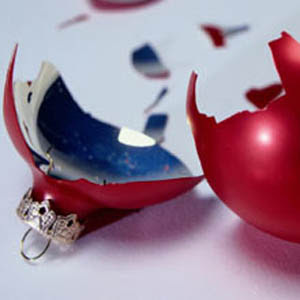 “This isn’t how I thought it would be.” Many are disappointed with how holidays go. 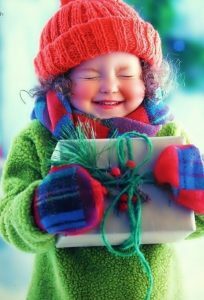 Perhaps it is time to a) shift your expectations, and b) consciously work to align the season with what best fits your soul. If you don’t take charge of your holidays, they will undoubtedly take charge of you. 4. “I can’t stand my family!” You can’t necessarily change families, but you can change the amount of time you spend with them, as well as the type of activities you choose when you are in their presence. Identify who you feel effortlessly close to —your soul family—and consider maximizing your time with these individuals. Remember, if you are spending time with others out of an obligation to do so, you will surely feel misaligned afterward. 5. “I’m lonely!” There is something about the holidays that makes people feel alone, whether they are or not. If you are prone to seasonal loneliness, ask you inner ally—your soul—how you would like to spend your holiday to eliminate this element. Is your loneliness trying to nudge you to take action, rather than wallow in your single status? 6. “I hate crowds.” With online shopping available to us now, crowd control has become much easier. However, perhaps it is time to embrace your need for smaller, more intimate interactions and forego the larger gatherings. If the interaction doesn’t feel soul-ful, then it is not feeding your soul. 7. “I have too many parties to attend!” Count the average number of gatherings that you typically attend, then cut the number in half (or more!). Prioritize which ones you will enjoy the most, and choose those over others in the lineup. You will experience far less regret and exponentially more satisfaction. 8. “I’m exhausted.” As yourself, “Is this activity more life-giving or life-diminishing?” If your soul says you will be drained from this activity, then redirect your behavior to something that will both sustain you and bring you additional light. 9. “I haven’t accomplished anything this year.” In the midst of stress, our judgment can become greatly impaired. Take some time to write down all of the things that have changed since the beginning of the year. 10. “It’s just too much.” Remember, less really is “more”. The less busy you are, the more mindful you can be. The more mindful you can be, the more conscious you can be. And the more conscious you are, the more you are able to evolve. Soul Health requires life balance. To become a steward to your soul means that you will eliminate activities that take more than they give. Give yourself the permission to create a holiday that fits you this year. Consider this holiday as another opportunity to evolve by consciously choosing your activities to match more closely with the needs of your soul. By aligning your season to fit your soul, you will be guaranteed to feel much more satisfied and nourished as you enter into 2018.